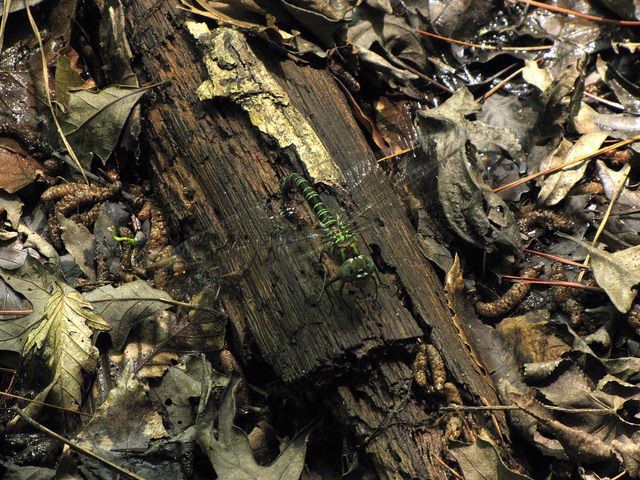 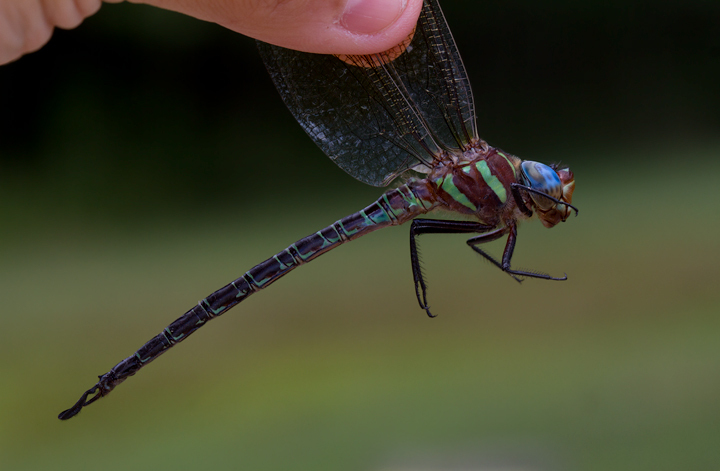 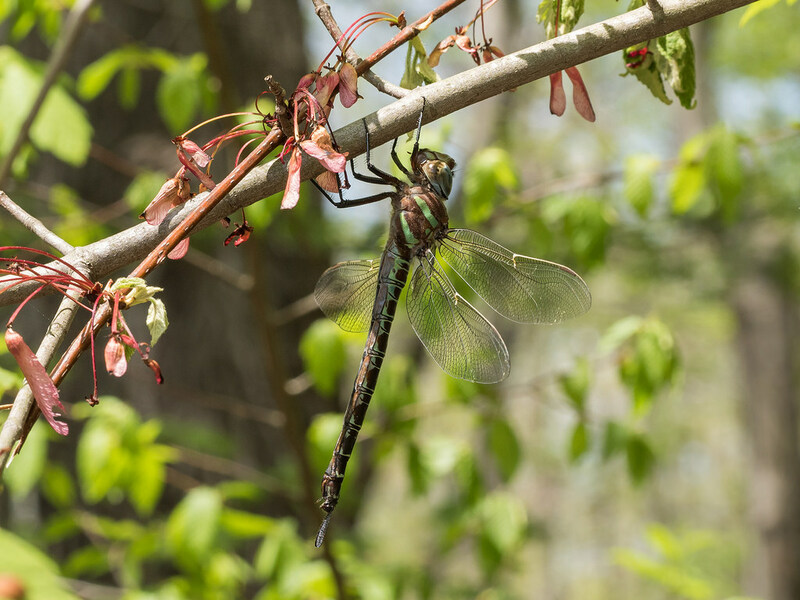 Swamp Darner (Epiaeschna heros) is the largest dragonfly species in Maryland, and one of the largest in the east. 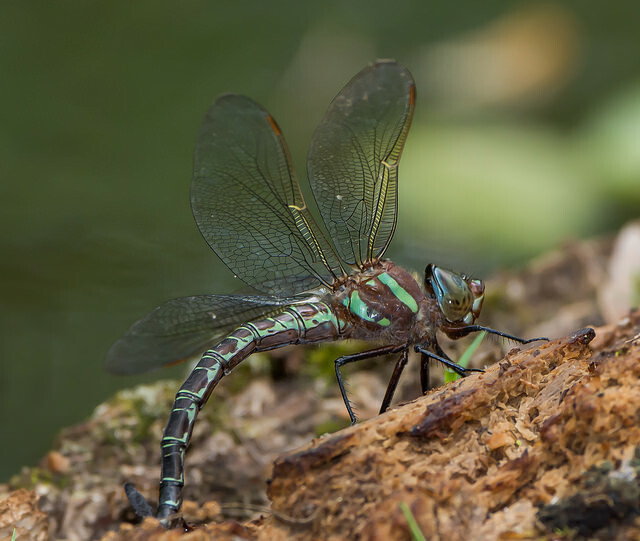 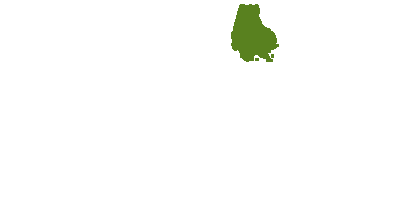 As the name suggests, this species breeds in wooded swamps, where females oviposit into rotting wood. 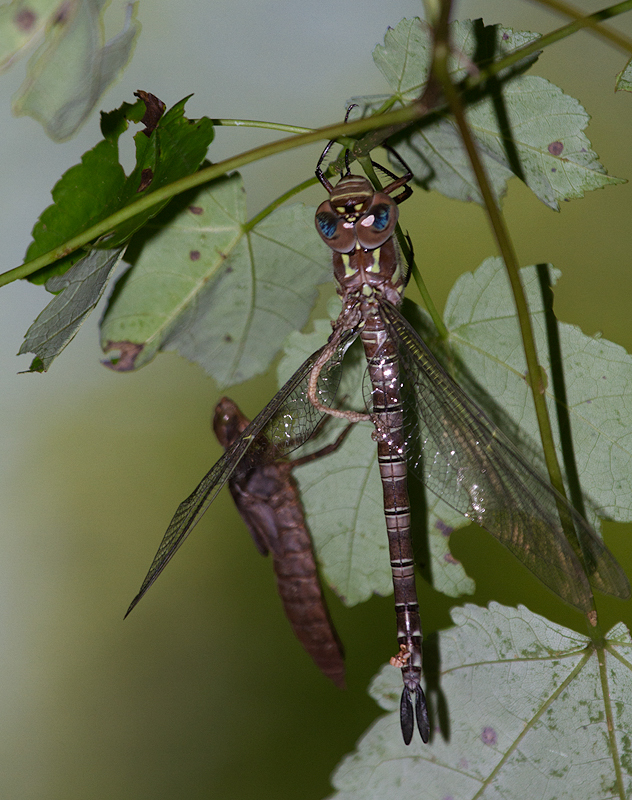 This species can often be seen on summer evenings hunting over forested areas in impressive feeding swarms (Paulson, 2011). 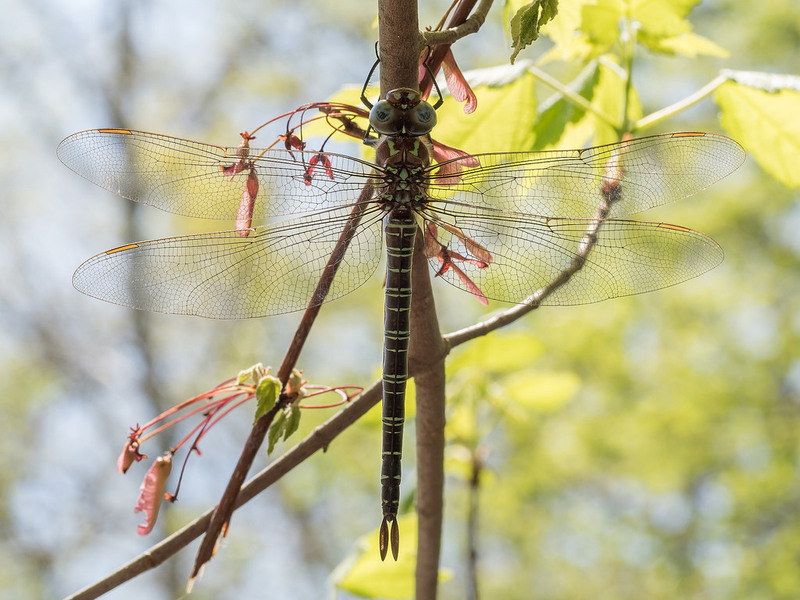 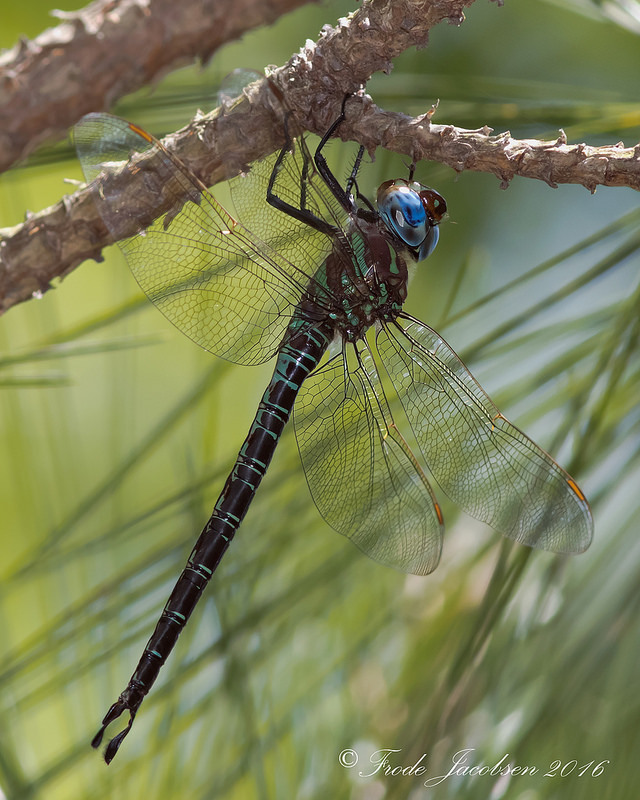 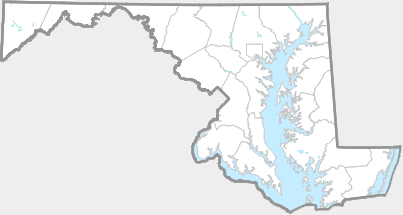 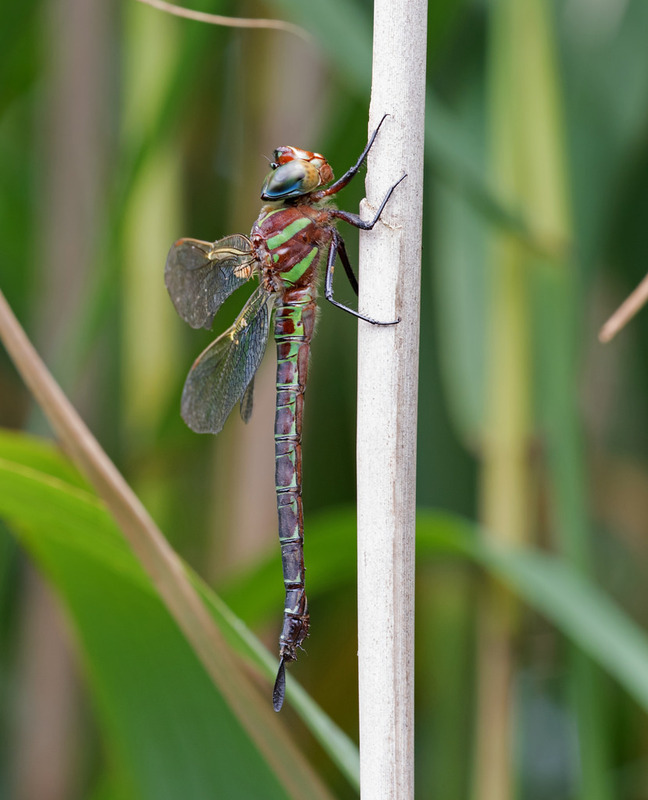 Swamp Darners are common in Maryland, and there are records from every county (Richard Orr's The Dragonflies and Damselflies of Maryland and the District of Columbia). 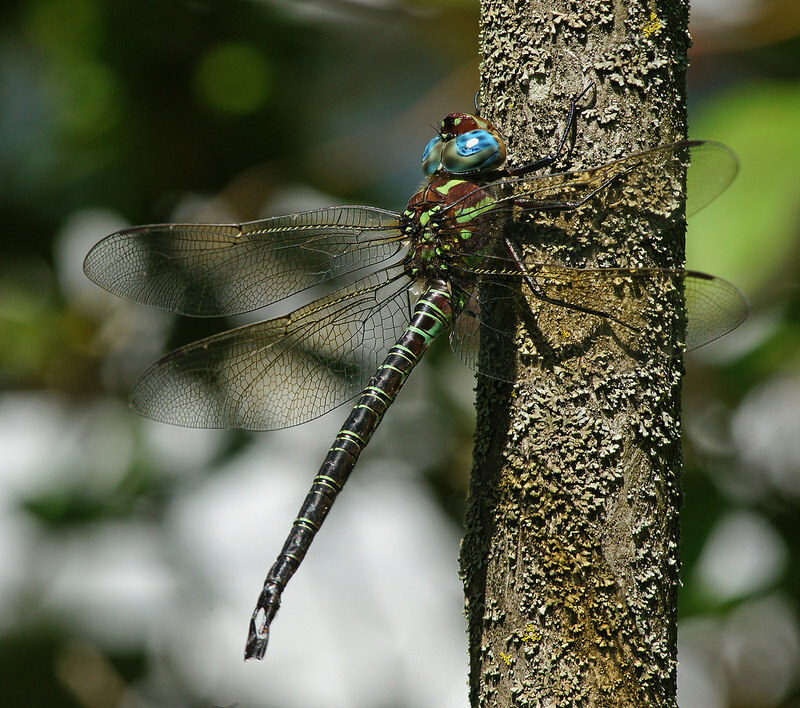 The elongate ringed abdomen, dark-and-green coloration, blue eyes, and large size of Swamp Darner are distinctive. 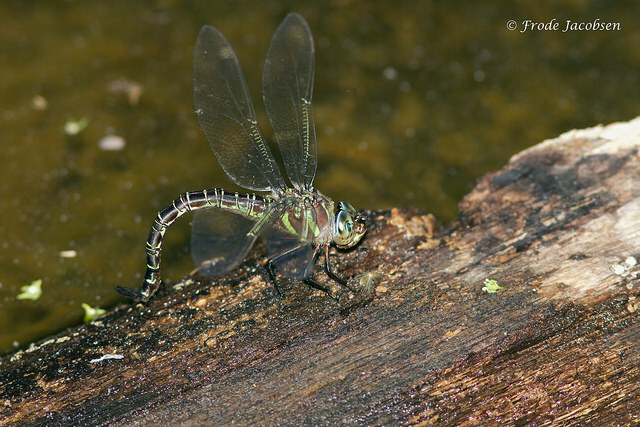 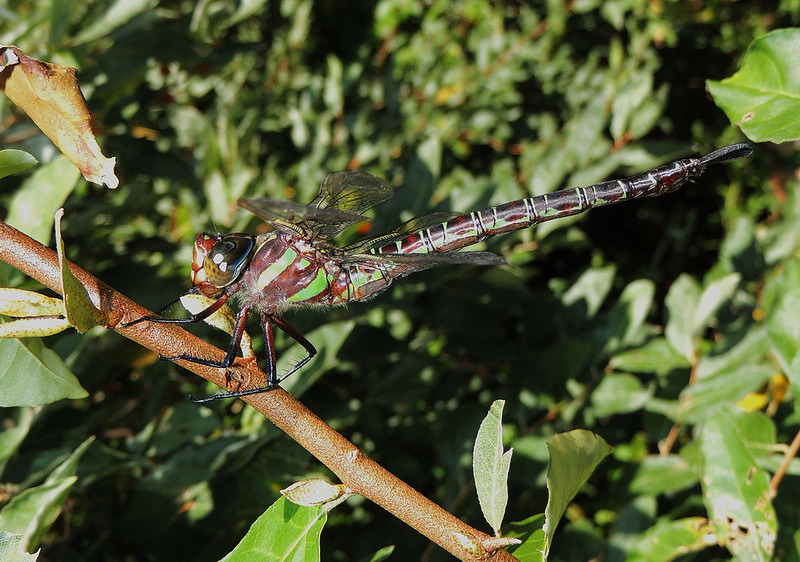 Cyrano Darner (Nasiaeschna pentacantha) is similar in color, and often occurs in the same habitat.